My new little nephew entered the world this week and he is such a bright light in our life right now. He is so pure and beautiful and innocent. 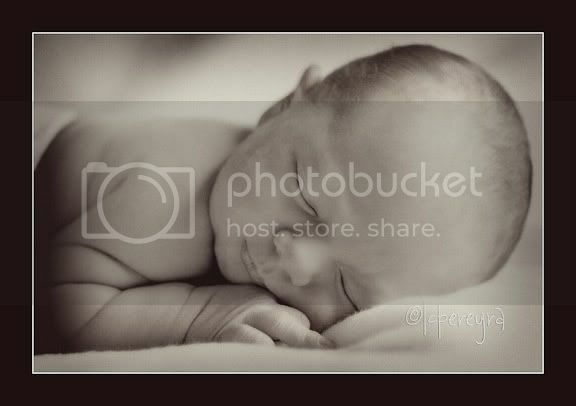 He holds all the hopes and wonders that only a sweet newborn can embody. I'm thrilled for my sister and her family, and thrilled that my children will get to foster a wonderful bond with their new cousin. Selfishly, I'm also thrilled for myself as his birth creates a much needed distraction. I'm grateful for everyone's kind words of support and encouragement for my husband's health. We are headed to Memorial Sloan Kettering Cancer Center tomorrow to learn if the cancer spread and what the treatment options are. This medical appointment can't come soon enough, yet at the same time I'm dreading it. I think it will be the longest drive to NYC that I've had in a long time. Visiting my nephew at the hospital today reminded me that hospitals can be a source of hope and joy. I'm going to try to hold onto that feeling tomorrow and use it to fill my heart and energy with lots of bright light. Welcome Cullin Laine. May you be filled with love and laughter, and surrounded by life and light. I pray the cancer has not spread and that there is a lot of good news for you guys! I just can't imagine the emotional roller coaster you've been on. What a beautifully simple photo of an adorable baby! What a perfect bright light for your family! He is so beautiful. I will be praying for your husband and your family. What a beautiful post about the newness of life and the hope a new baby brings. That is an amazing shot! I am so sorry you are dealing with your husband's cancer. I hope you will have good news at the hospital with him. I had no idea of the battles you and your husband are facing. I hope the trip to NYC brings good news for you, and a relief to some of the load of worry and stress you both have been shouldering. Sending prayers your way. He is so precious! Praying the cancer has not spread. I pray for strength for your family at this time. Sweet baby! And I hope the cancer has not spread, I will keep you guys in my thoughts tomorrow. I will certainly be keeping you guys in my thoughts and holding you in my heart. I just cannot even imagine. What a beautiful photo of your new nephew! Beautiful shot of your new little nephew. Wishes and prayers for your safe journey to NYC and good news for your husband (and family). I just read the post on your husband, he sounds like a beautiful person inside and I can see the love he has for his family in the pictures. Your family will be in my prayers. Your new nephew is adorable. I love the picture and most importantly, your post. You have a wonderful attitude and I continue to pray for you and your family. What a precious, perfect little boy! Prayers that you will have some encouraging treatments available to your husband. He's gorgeous. I'll be saying a prayer for your husband and family. Congrats to your sister and family on the birth of your sweet nephew!